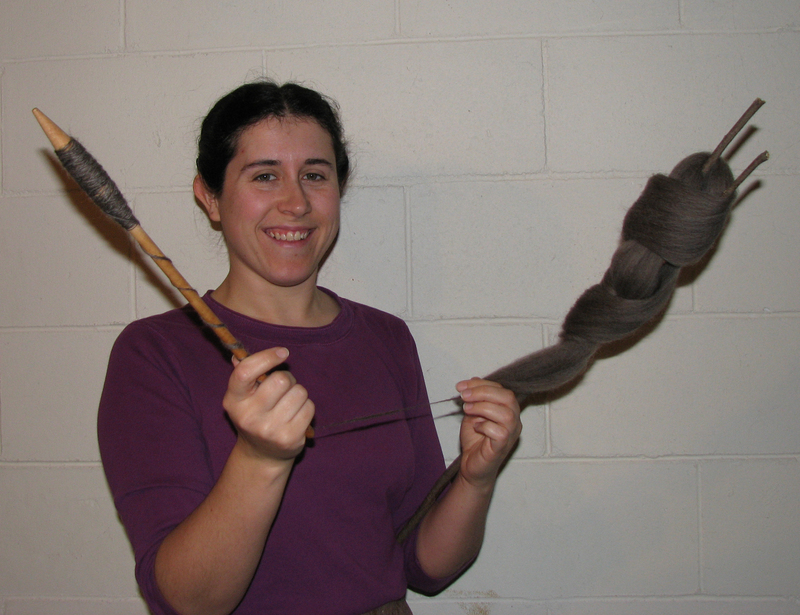 I learned this method of Greek and Albanian Spinning with spindle and distaff from a woman who grew up in Greece. I have also found evidence of this spinning method in Romania, Bulgaria, Serbia, the Sudan, and what was once called Yugoslavia (so, perhaps also Serbia?). Do you or someone you know also spin this way? I’d love to talk to you about it – please contact me! I have been collecting all the images and videos I can find of this method on my Pinterest board for Rotation of Spindle in Hand. I believe this method is what Grace M. Crowfoot refers to as “spinning by rotation of spindle in hand” in her book “Methods of Hand Spinning in Egypt and the Sudan.” The PDF of this book is found in the On-Line Digital Archive of Documents on Weaving and Related Topics – a truly invaluable online resource for textile artists. Oh so late to the party, but I just got linked to this page, and this is an amazing technique! I spin on a Turkish spindle generally, but this looks like you could get much longer skeins of yarn without interruption. It tends to be most efficient for a lower-twist yarn. But it is very efficient then – I watched a woman win a longest thread contest spinning this way with a spindle, competing against spinners with wheels! Cool! That is great to hear.